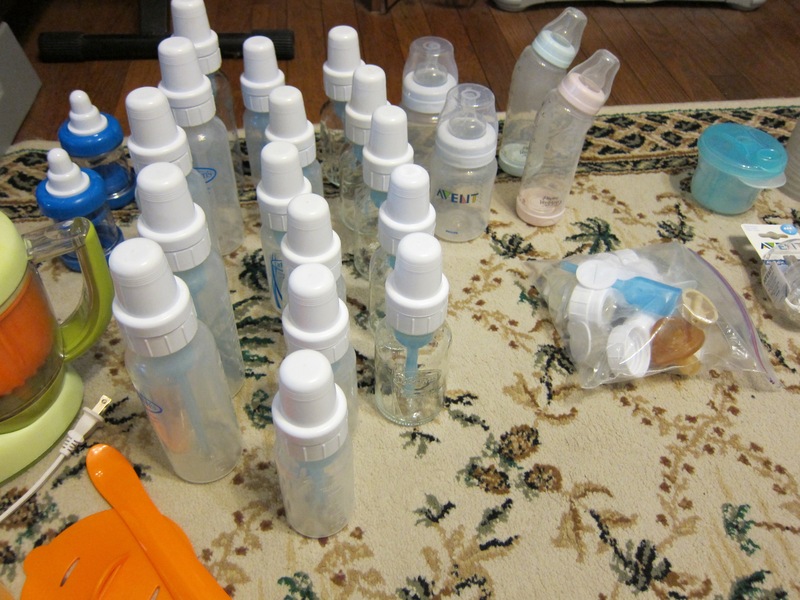 A kind friend of mine very generously passed along her collection of baby bottles, baby food cooker, and baby food storage containers. I was so thankful to receive everything! 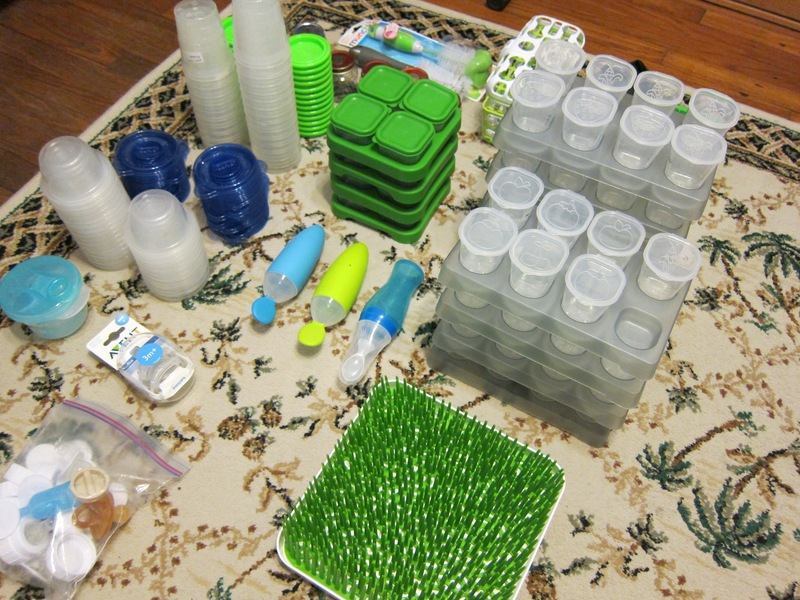 I did need to find a way to organize and store everything for when it would be needed in the future. I was inspired by the photo I found here. 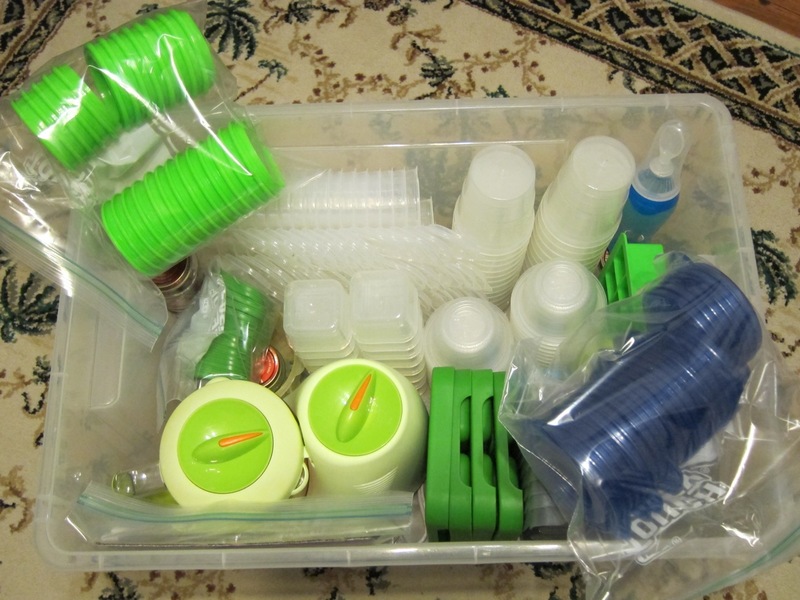 I liked the idea of using clear storage boxes with lids, so that things could be stacked and pulled when needed. 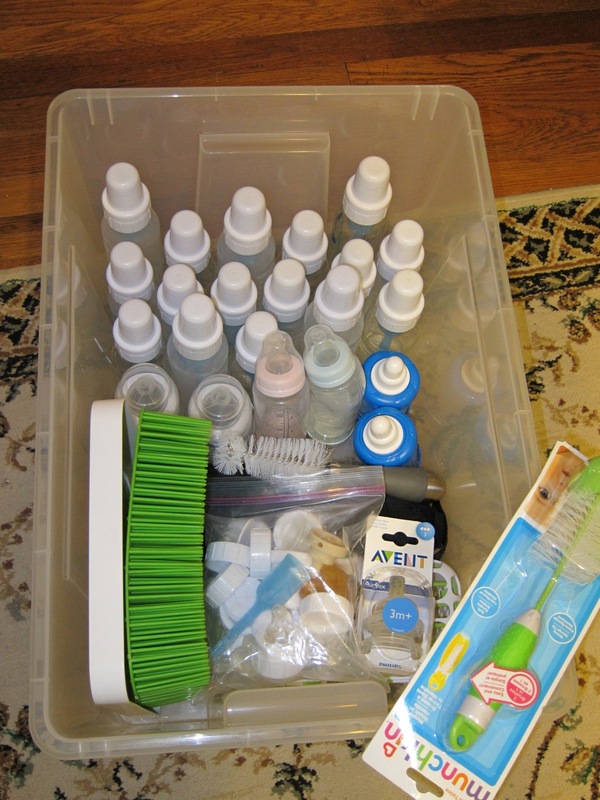 I put all of the bottles, bottle brushes, and anything else related to bottle feeding in one container. 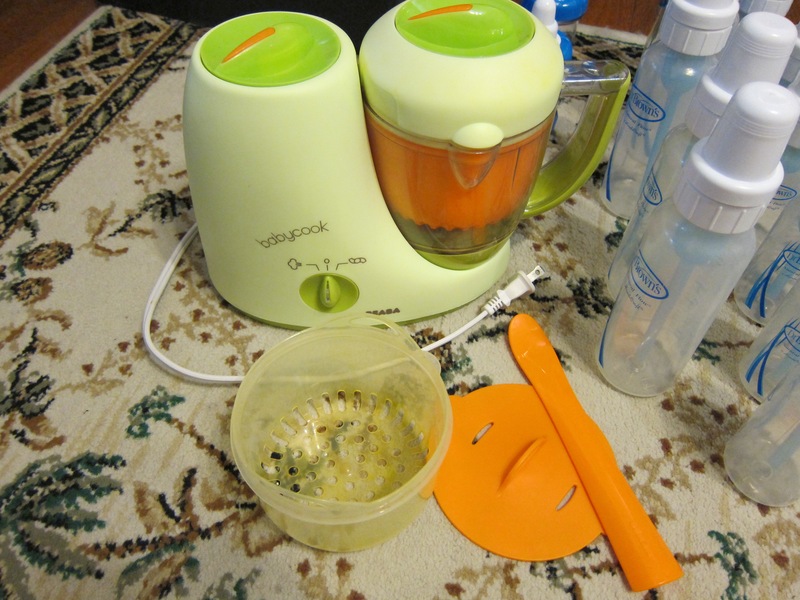 I put the baby food cooker, baby food storage containers, and anything related to feeding solids in the second container. 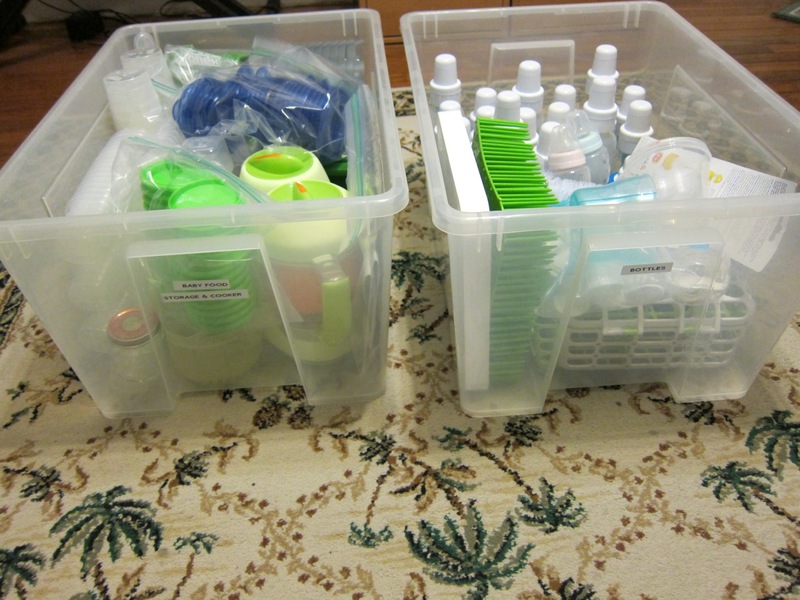 This gives you an idea of the size of the bins, which are the 12 gallon size. I would like to point out that the lids don’t stay snapped down, so I’ll be taping them to ensure they don’t come off when lifting a bin. 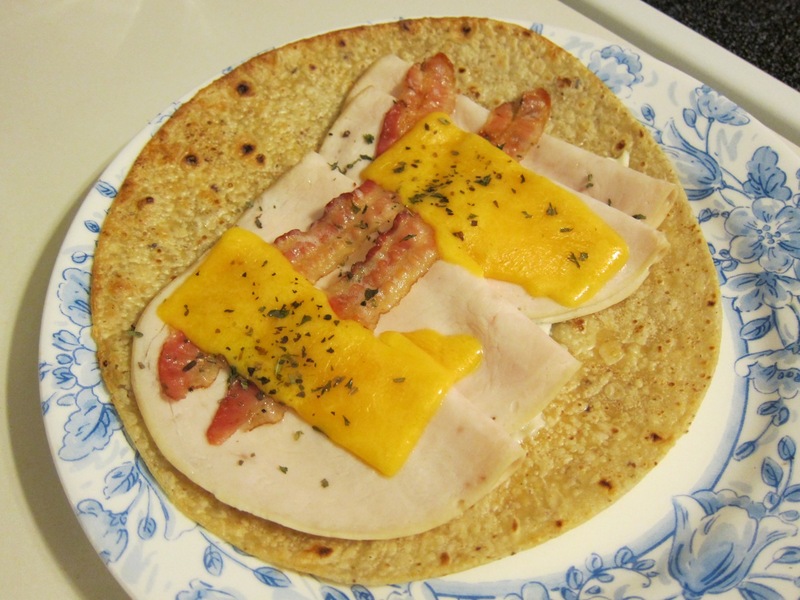 I couldn’t find gluten free submarine rolls, so I made a turkey “sandwich” with a gluten free tortilla. 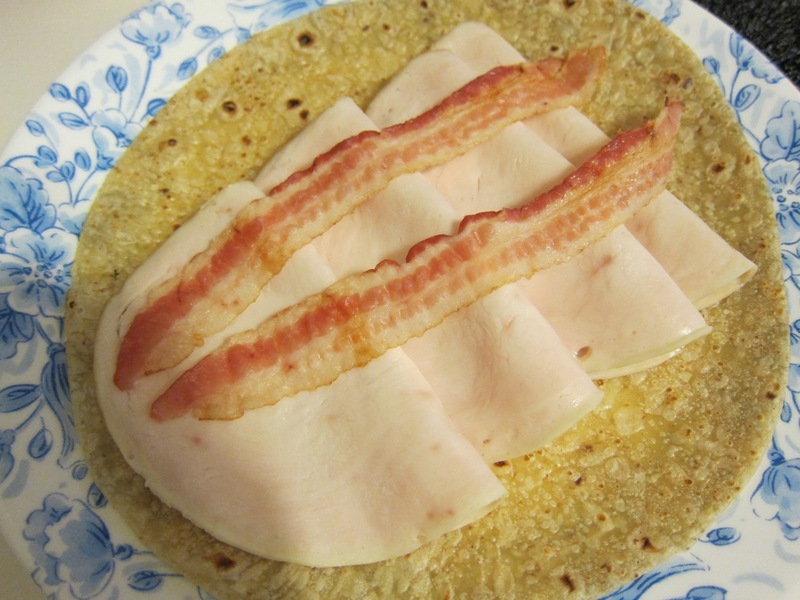 Start with turkey, bacon, and mayo. 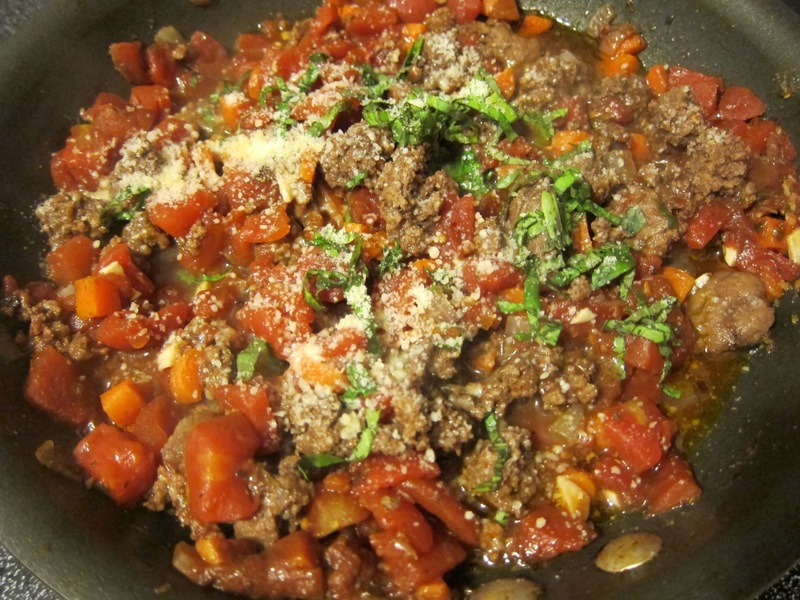 Add cheese, oregano, parsley, and basil. Put under the broiler for 2 to 2-1/2 minutes. 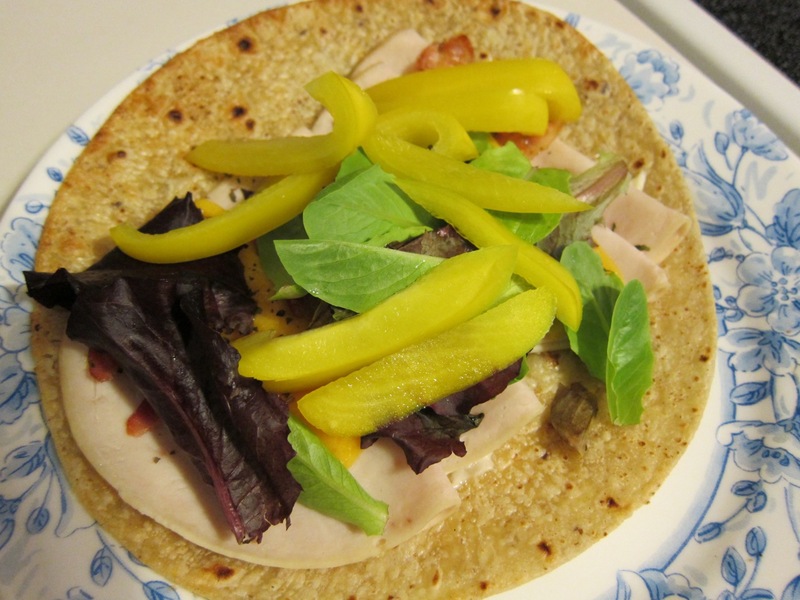 Add lettuce and bell pepper, then roll like a burrito. 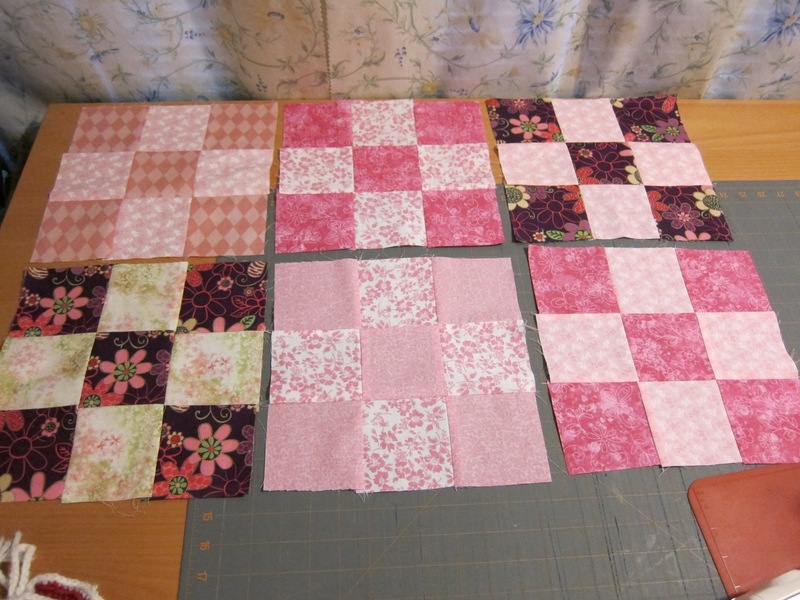 This is Part One of making a nine patch baby quilt. 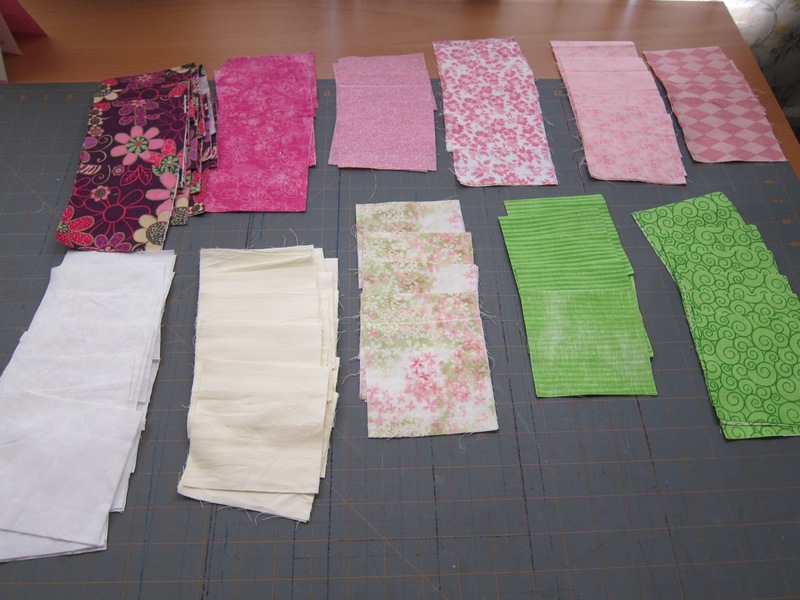 I got the measurements for the inner and outer borders from More Quilts for Baby, by Ursula Reikes. 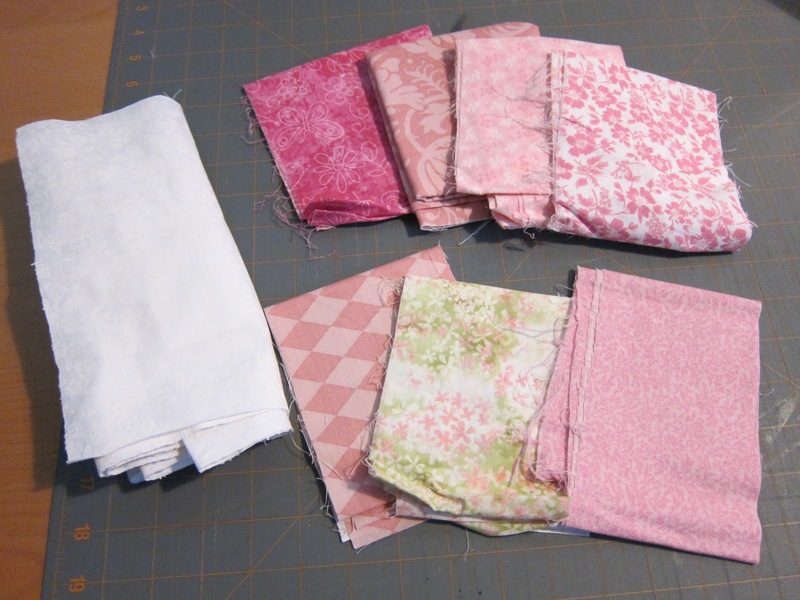 To make this quilt top, I first cut 4 inch squares from a variety of dark and light fabrics. 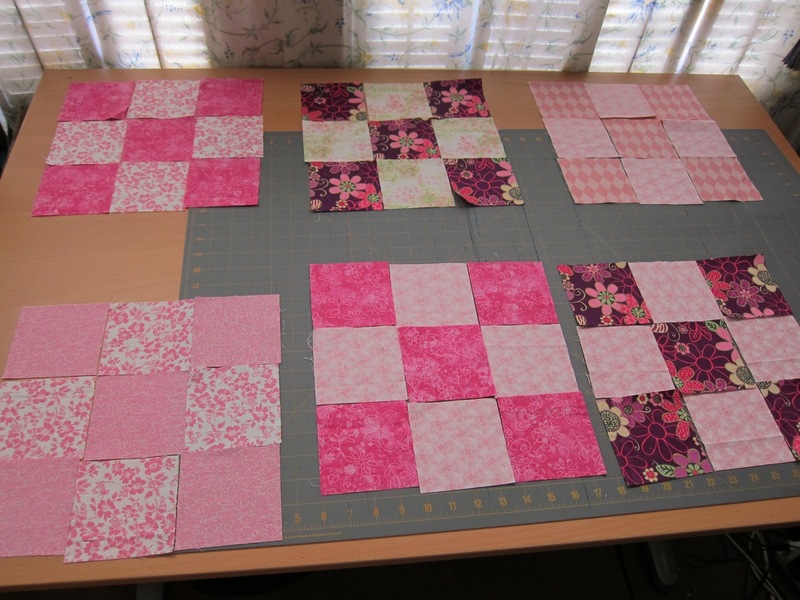 I ended up not using all of the squares I cut. 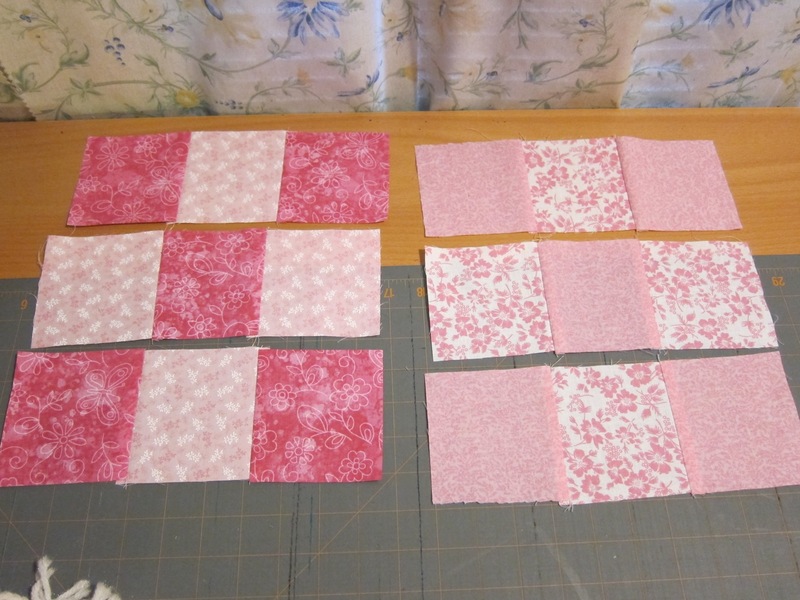 I then arranged dark and light colors in nine patches with darker colors in the middle. I made six blocks. 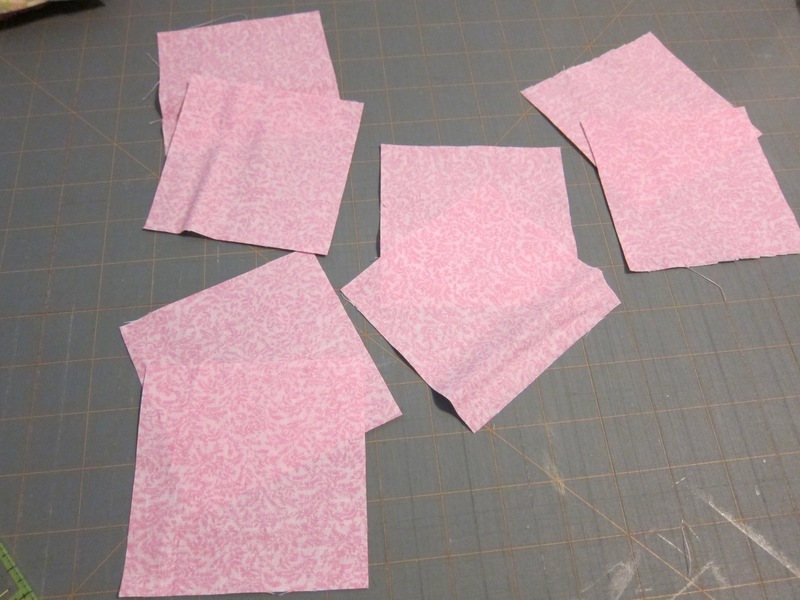 I sewed together the pieces of each block using a 1/4 inch seam allowance. 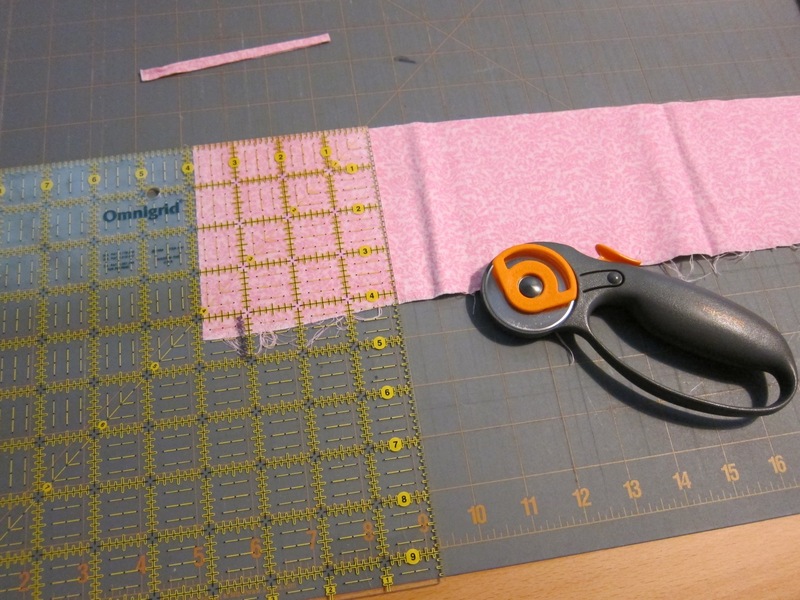 I recommend sewing each row of a block, and then connecting each row. I prepared gluten free pasta and made Jamie Oliver’s Bolognese Sauce (from his Food Revolution cookbook) to go with the pasta. 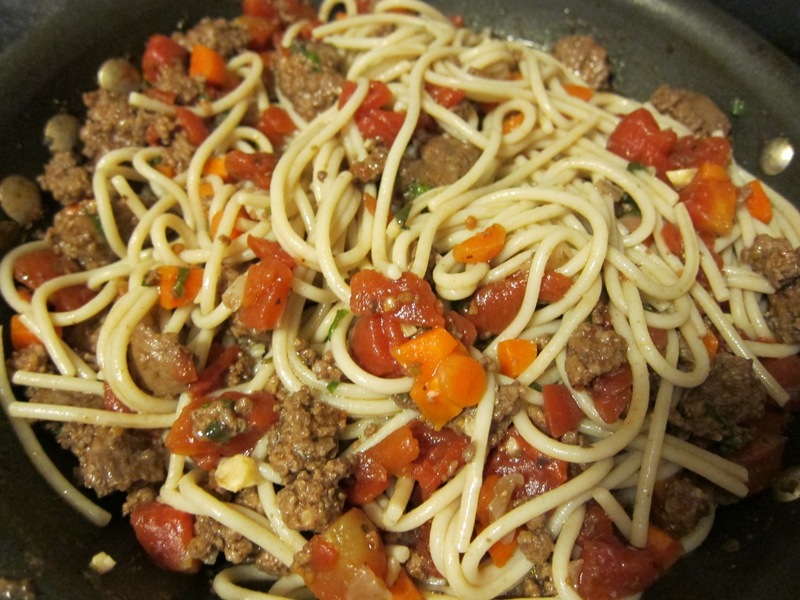 I already had ground beef cooked with onion that I had stored in the freezer, so I used that in the sauce. 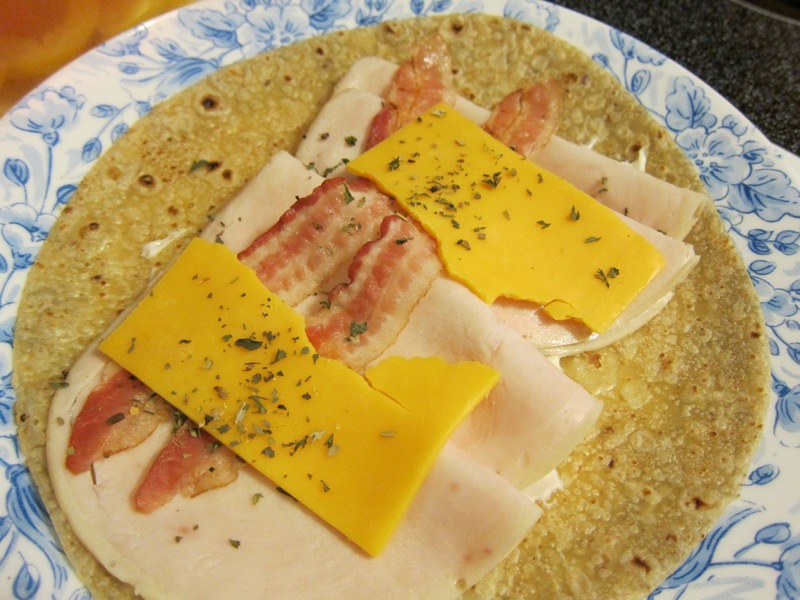 There was no bacon or celery in the house, so those were left out of the sauce. I did a half recipe and cooked it without the lid on to speed up the process from 60 minutes of simmering to 20-25 minutes. 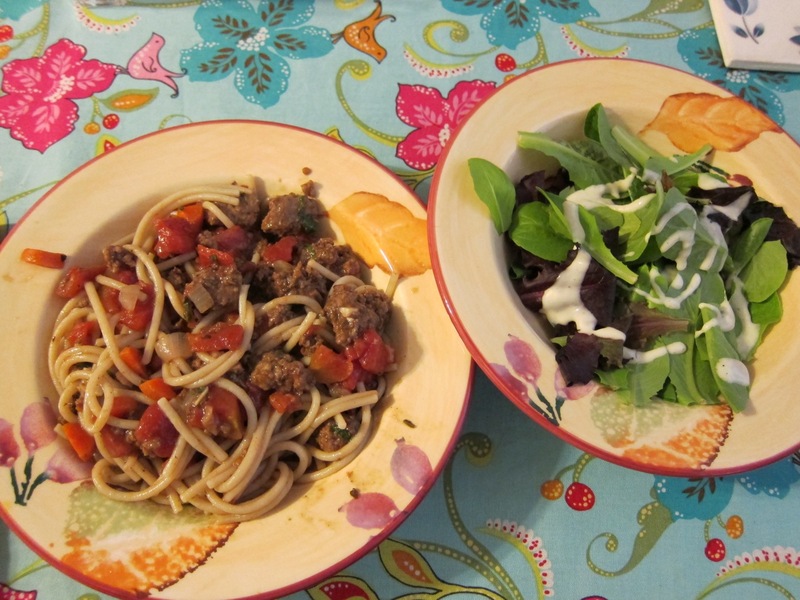 The sauce was very delicious, especially with fresh basil from the garden. Paired with the sauce, the gluten free pasta was quite good. I don’t know if my sweet husband realizes that he ate gluten free pasta. I don’t know if I’ll tell him. He said dinner was quite tasty! 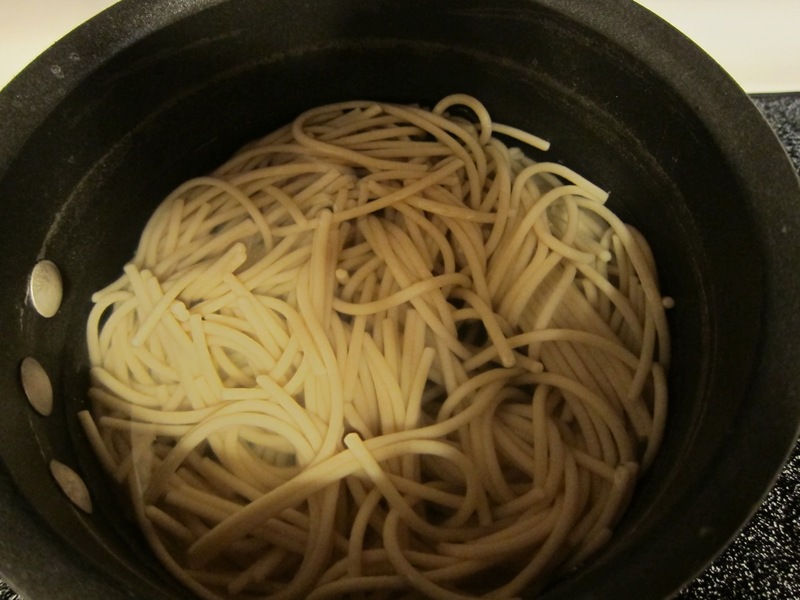 You boil the pasta in salted water for 15 minutes and then rinse with cold water (for good texture). My mouth is drooling just looking at this picture. Yum! After the sauce is done, mix in the pasta. I poured a small amount of olive oil on the top and mixed that in, too. 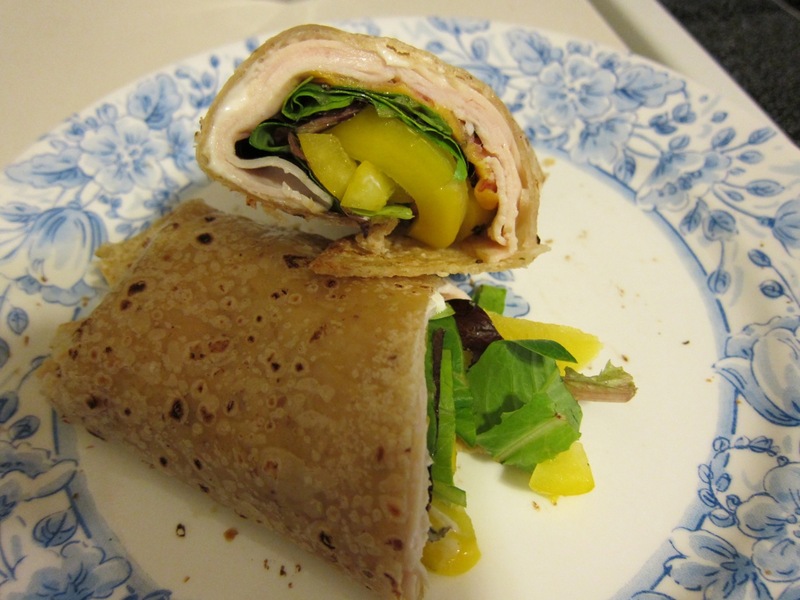 I got the idea from one of Jamie Oliver’s Meals in Minutes TV episodes. I served mine with a salad. For the record, I know that’s a bigger portion of pasta than I’m supposed to have. I only ate half of it! After going to three places, I finally found plain mint. I didn’t realize that you could get peppermint, orange mint, chocolate mint, and candy mint plants, among other types. I put the mint in its own pot, because I didn’t want it taking over my garden boxes. I also decided to re-pot my oregano. I’m so glad I did. The soil at the bottom of the pot was compacted clay. I ended up taking a portion of the oregano plant and putting that in a smaller pot full of homemade compost. The plant has been with me a few seasons, and it hasn’t been at its best lately. I hope its new pot, “haircut,” and new soil will help it to get more vitality and hopefully more of an oregano aroma and taste. 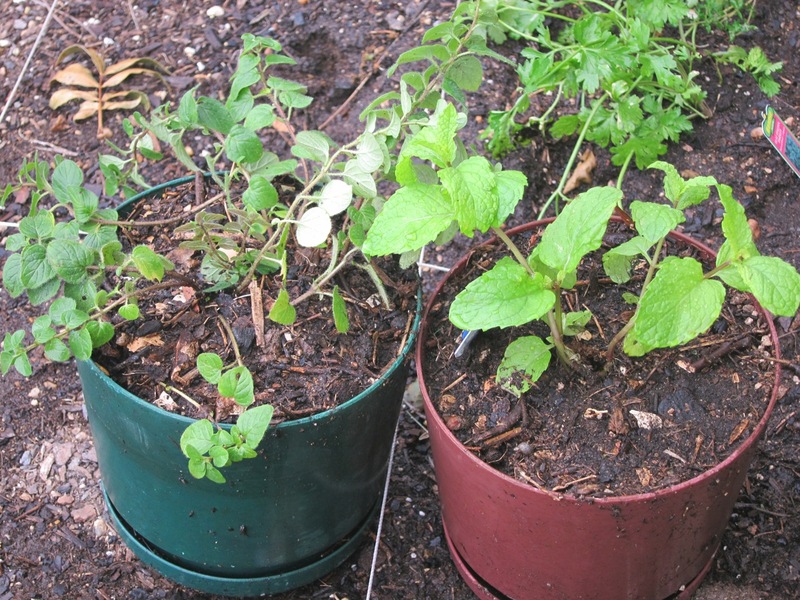 Oregano on the left and mint on the right. I went to the store and picked up some prepared gluten free foods. 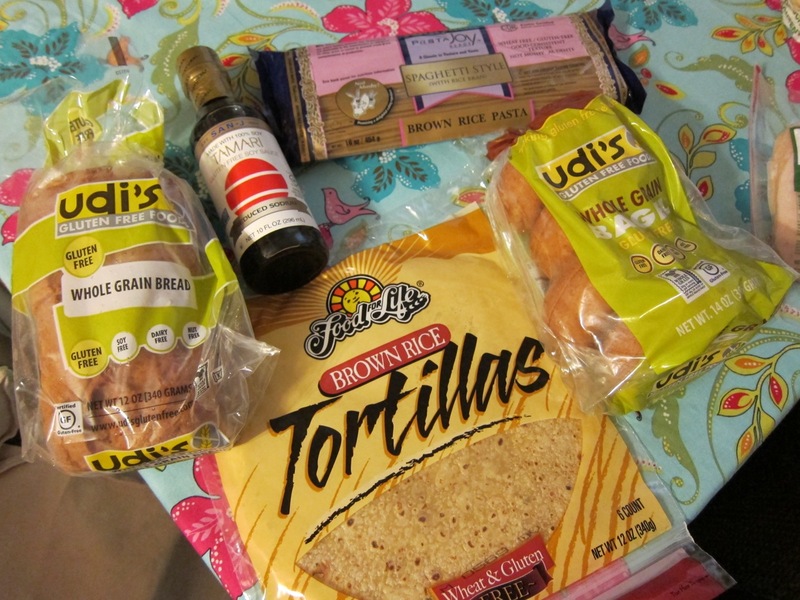 I got loaf bread, tortillas, bagels, spaghetti, and soy sauce. I’ve got a request at the library for a gluten free/sugar free cookbook, and I hope to do some cooking and baking once I get that. You can find a lot of gluten free items and several sugar free items, but it’s hard to find items that are both sugar and gluten free.